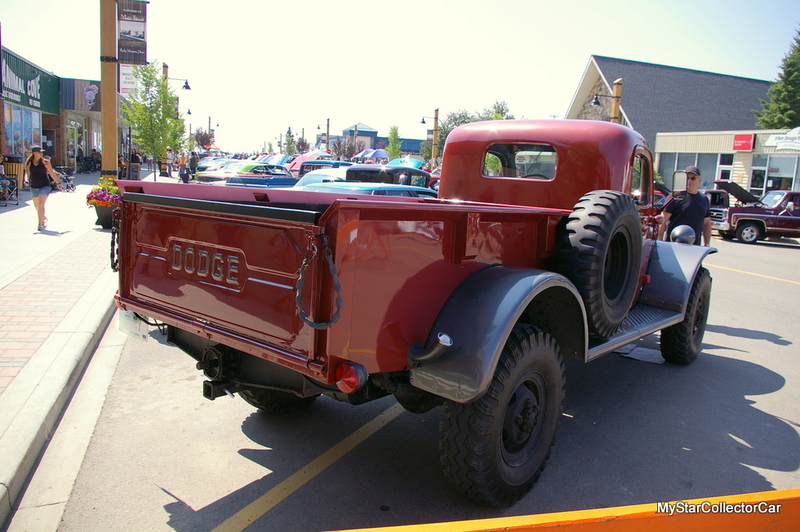 Dodge is a name often associated with brute force performance over the years. 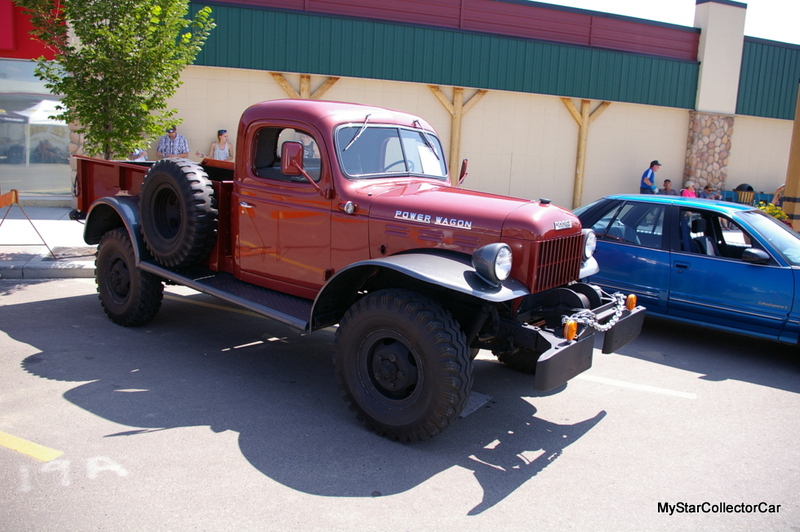 Most of the famous Mopar brand’s legacy involves speed from massive horsepower output, but the Dodge Power Wagon has garnered its brute force reputation from a different angle. 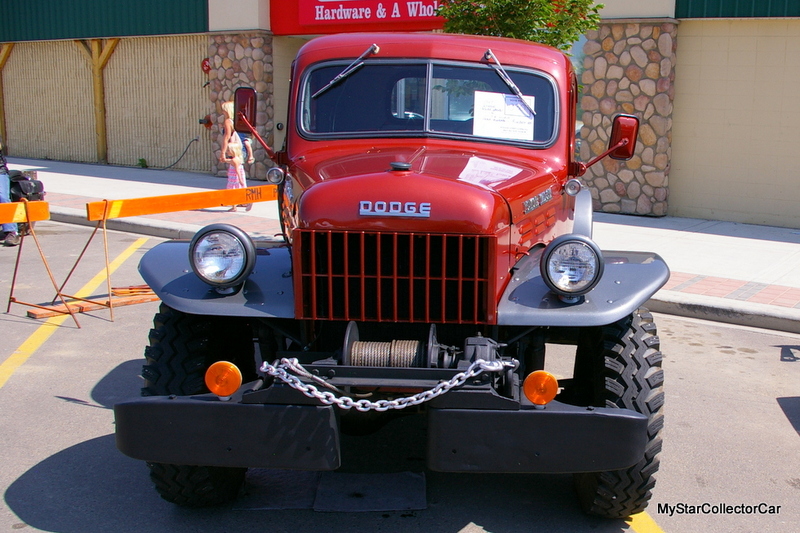 The original post-war Dodge Power Wagons were modeled after the military vehicles built for hard use during World War Two and they looked the part when it came to toughness. 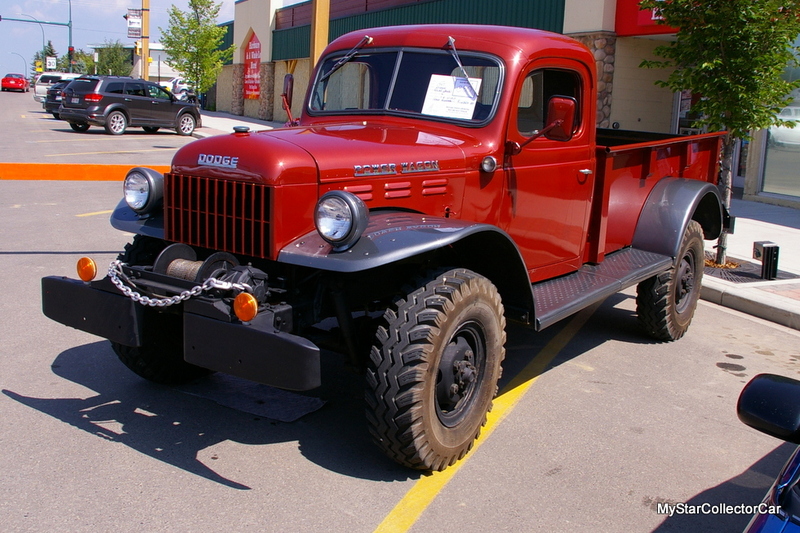 The first-gen Power Wagons could also handle the rough work assignments that came their way in the years following the end of the Second World War. The Power Wagon was built for hard work and offered few creature comforts to its owners because they were also a hard-working breed. The trucks were geared very low because the Power Wagons always took the road less traveled and could absorb a pounding along the way. 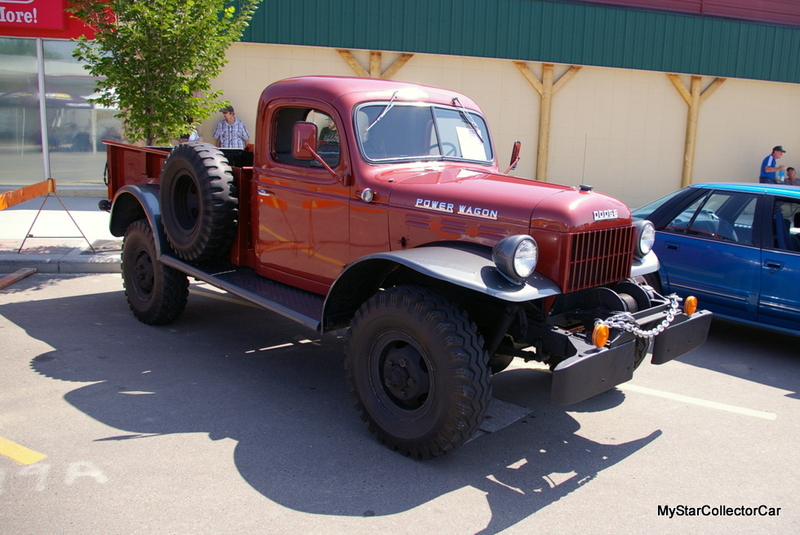 There were few paved roads on the Power Wagon’s route-and even fewer Sunday drives in their future. Frank Vennember has always been a big fan of the Power Wagons and he wanted to own one of these four-wheeled beasts of burden for a long time. Frank believed he could “never afford one” until he spotted one under a “pile of snow” one winter and sent his Chevy truck into a sideways skid when he stopped to look at it. Frank said, “I couldn’t believe it when I saw the truck sitting outside”, but later he learned the previous owner simply ran out of room inside of his commercial shop for the Power Wagon. 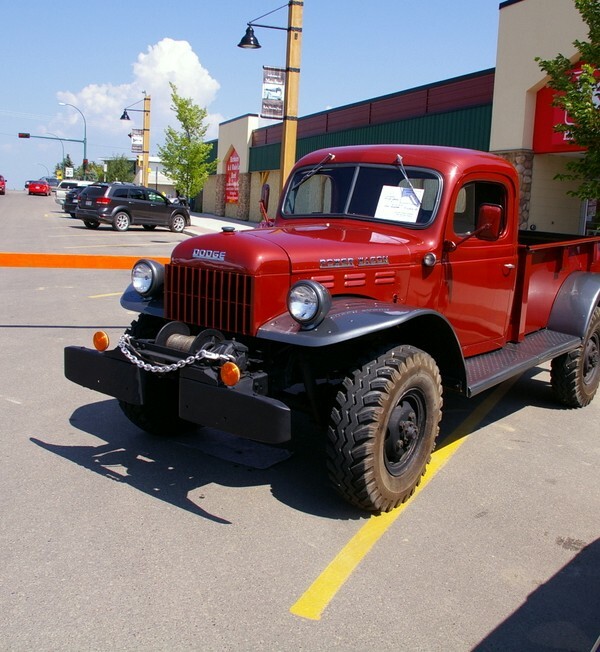 The former owner was not a motivated seller because the owner of a big Mopar dealership told the previous owner that he (the car dealer) would be the next owner of the Power Wagon. Frank decided to take a different approach with the Power Wagon’s former owner and offered one of his vintage Chevy trucks and cash to help change his mind. 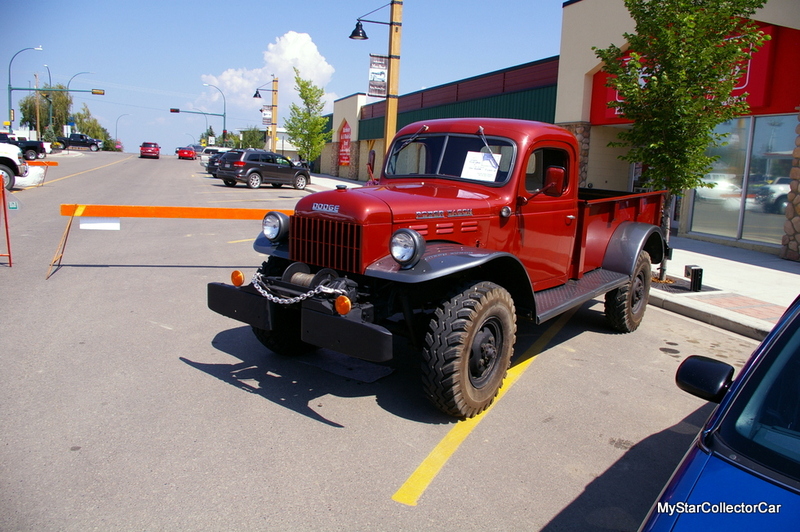 The owner wanted Frank’s Chevy truck and was willing to sell the Power Wagon to Frank to obtain the Chevy truck. 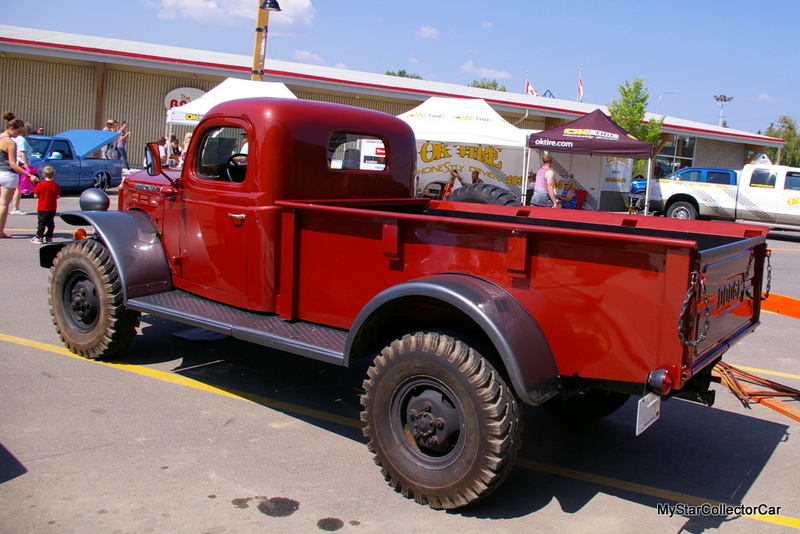 Consequently, Frank became the new owner of the 72-year-old Dodge truck and was very happy to obtain his dream truck in unmodified condition. 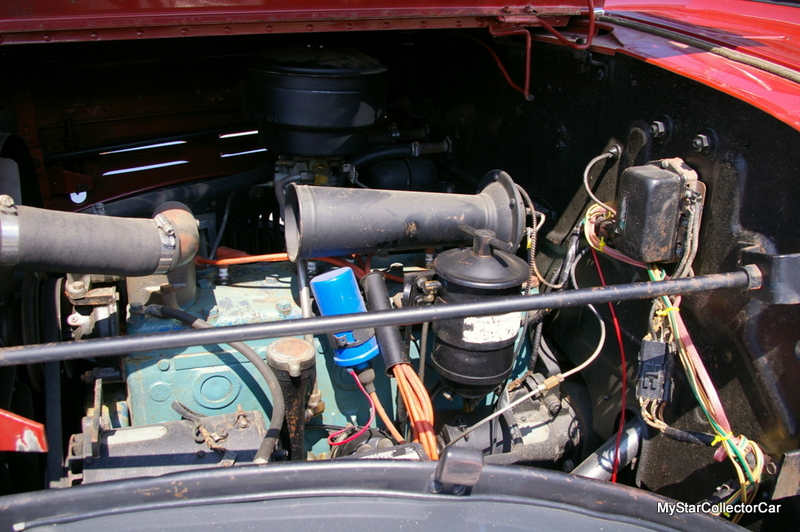 The ’47 Power Wagon still has its original flathead six-cylinder engine bolted up to its original four-speed manual transmission. The Power Wagon also has a four-wheel drive system that consists of 4 High and 4 Low choices for the driver. 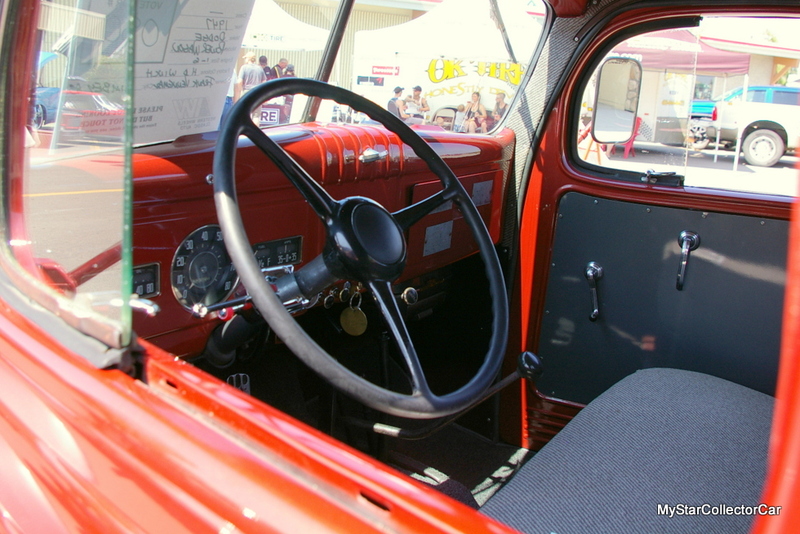 The truck is “geared like a tractor”, in Frank’s opinion, and performed heavy work done at low speeds during its heyday. 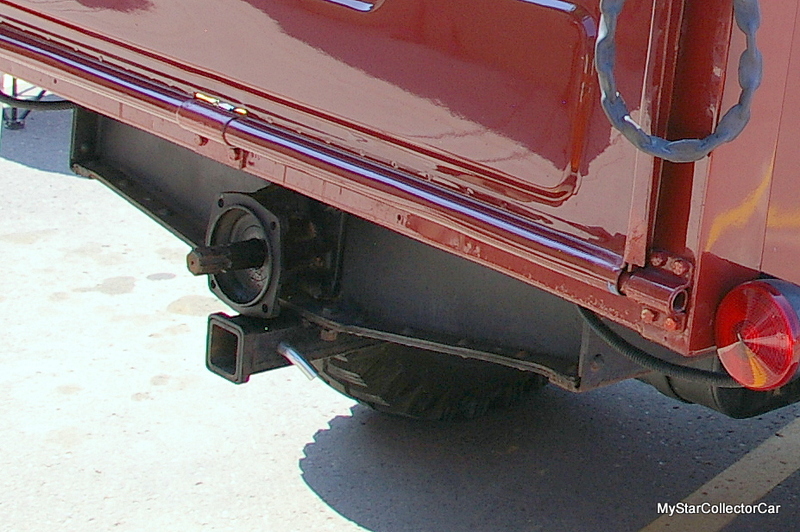 It also has a hefty front winch and PTO unit on the back end of the sturdy Dodge truck. Frank believes he could even bale hay with the PTO unit and thinks the truck was used as part of a logging operation in a saw capacity.